Makkajipalle is a village in Anantapur district in Andhra Pradesh, about 200 km north of Bangalore. Anantapur is home to one of India’s best-known citizens — Sri Satya Sai Baba, who has a thriving ashram in Puttaparthi, not far from Makkajipalle. Anantapur is also famous for receiving India’s second lowest rainfall. On that Tuesday morning, Sastry is present at the village, wearing his other hat: As head of the Centre for Collective Development (CCD), a Hyderabad-based NGO he helped found in 2003. He’s leading a meeting of the co-operative, which is attended by farmers, CCD officials and commodity brokers. 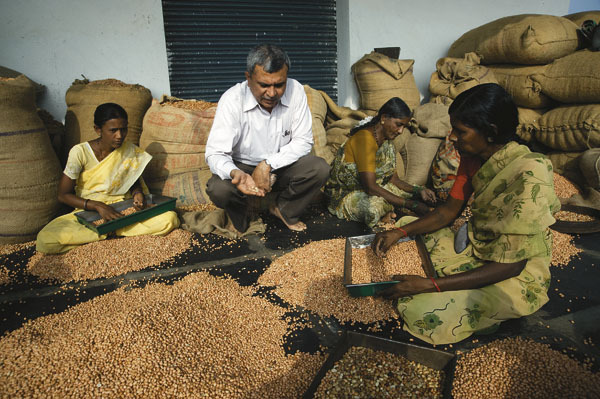 Sastry explains how the co-operative members should distribute the profits among themselves. Today, Sastry’s experiments with his NGO have reached a tipping point. CCD has 50 co-operatives with 2,500 members over two Andhra Pradesh districts — Adilabad and Anantapur. Till last year, the co-ops in Adilabad did a turnover of Rs. 2.4 crore and generated a surplus of Rs. 40 lakh. Each member received a bonus of Rs. 5,600 or 30 percent of their annual income. On the other hand, the seven co-operatives in Anantapur procured Rs. 50 lakh worth of groundnuts this season. For Sastry, this presents a set of difficult personal choices. So far, CCD’s work has been funded by grants from Hivos, Ford Foundation and the Dorabji Tata Trust. None of the co-operatives have so far made a loss, but CCD needs to raise funds to take its operations to the next level and set up more co-operatives around the country. Sastry’s ambitions include hiring commodity analysts and specialists to train farmers and building a national brand for the co-ops produce. Here’s the dilemma: Sastry is aware that no one has been able to replicate the success of the Amul milk co-operative movement. And if Sastry has to prove his detractors wrong, he’ll need to plunge full-time into CCD and give up his academic perch at IIM-B. So far, he has played the role of a CEO informally, balancing his responsibilities at IIM-B. He refuses to draw a salary from CCD, travels on his own expense and insists that his IIM-B salary is enough to take care of his needs. Sometime ago, Shashi Rajgopalan, CCD’s chairperson, asked Sastry to take over as CEO of CCD and draw a salary. Sastry did not agree, and apparently told her that this was the way he wanted to run things at CCD. Rajgopalan resigned from the board soon after. Meanwhile, Sastry’s career is at an interesting juncture. He’s been shortlisted for the director’s job at the upcoming IIM campuses. And while his strong leftist leanings irk many of his colleagues, Sastry shares a good rapport with Reliance supremo Mukesh Ambani who chairs the IIM-B board. Besides, being a part of the charmed IIM network helps open many doors for Sastry and the social causes he supports, especially at the time of fund raising, and it may not be easy for him to let go of this bully pulpit. Son of a school teacher, Sastry excelled at academics, picking up degrees from IIT-D, IIM-A and a Ph.D from MIT. And yet he eschewed the trappings of a corporate job that would have undoubtedly made him wealthy. The apathy of the system towards farmers shocked Sastry. He would often wonder why corporations would get a working capital loan for 6 percent, while a village co-operative would be charged double that rate. “Infosys didn’t have to pay taxes for several years, but the co-operatives are paying almost 30 percent tax on profits” he says. Sastry decided to do something about the farmers’ situation. About a decade ago, he took a 14-month sabbatical to volunteer for the Society for Elimination of Rural Poverty, an initiative of the Andhra Pradesh government to understand the problems of rural poor and look for solutions. The inspiration for setting up co-operatives came from Dr. Varghese Kurien, who made Operation Flood one of the most successful development projects in the world. It pulled millions of people out of poverty, using milk cooperatives as a vehicle and created one of the world’s largest supply chains. His commitment to the development agenda has attracted several leaders to CCD. 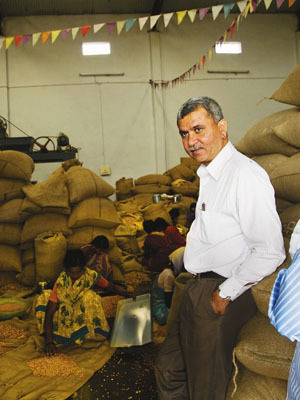 S. Sivakumar, CEO, ITC’s Agri Business Division and the architect of its eChoupal model, was one such person. “Sastry is not a typical academician; he has actually gotten down to doing something,” says Sivakumar. Setting up a co-operative is hard work. 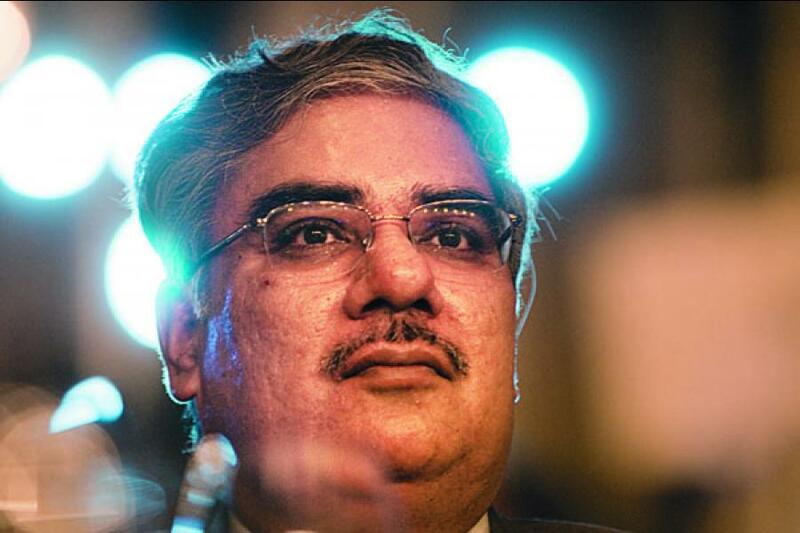 Initially, Sastry would drive out from IIM-B on weekends in his Maruti 800 to villages in Anantapur. The timing was bad. A three-year drought had left the farmers desperate and pessimistic. Undeterred, Sastry identified the poorest villages and started organising meetings of farmers. Today, 600 farmers in Anantapur have joined co-operatives. In Adilabad, CCD has had better results. The area receives more rainfall than Anantapur, the average landholding is bigger and there are fewer money lenders as compared to Anantapur. Sastry wants to cut out the middle man, passing on maximum value to the farmers. CCD works in villages with less than 200 families, where money lenders typically do not operate. Even though the CCD model is showing results, its impact is small. And this is the moment where Sastry has to prove that the co-operative model can be replicated to commodities. That’s something experienced practitioners like ITC’s Sivakumar reckon is difficult. Sivakumar worked in the co-operative sector for seven years before joining ITC. “We tried to replicate the Amul model for seven years in commodities, without much success. The Amul model worked because of certain time and context,” he says. When Amul was set up, there was less competition and the government helped by waiving off excise duty. Milk is collected daily, unlike commodities that are seasonal. Plus, prices fluctuate widely. Sivakumar says that co-operatives work well on a small scale. When the model is scaled up, issues like talent attrition, retention and politics set in. CCD may not have trouble getting up to 25,000 members, but it would face the same challenge as other co-operatives, says he. This kind of plain-speak sometimes alienates him from friends. In November 2009, Sastry wrote a column in The Wall Street Journal about ‘Extending Supply Chains to Create Wealth for the Poor’. He surmised that while ITC eChoupal was offering a fair price to farmers, the benefits were not reaching small and medium farmers and commission agents were cheating farmers of weights and prices. Sivakumar resigned immediately from CCD’s board. He says that Sastry never even discussed the article with him. And for anyone to think that only one model works is a bit of an extreme ideology, he says. Although Sastry firmly believes in Kurien’s model, he has picked up some of his own learnings along the way and incorporated that into CCD’s model. For instance, members do not have to sell the entire produce to co-operatives; they can sell part of it in the open market. This, he says, takes care of their debt. Sastry also brought in some practices from the corporate world. For example, CCD had received a grant of $200,000 from Ford Foundation. Part of the money was lent to the co-operatives in Adilabad for setting up the dal mill. But instead of giving it free, CCD charges an interest rate. This creates financial responsibility. Today, the co-operatives have generated enough surpluses to repay the loan. And unlike the National Dairy Development Board, which is one large bureaucratic organisation, CCD’s operations will be de-centralised. CCD will facilitate opening up of co-operatives by sharing knowledge, expertise and manpower. It’s a lesson that Sastry picked up from ADR, which works with a network of 1,200 NGOs. He says that if NDDB had opened smaller chapters around the country and given more freedom to its executives for running them, it would not have faced some of the problems it does. Letting the model grow organically will take many years. So Sastry wants to turbo-charge operations using the “pump priming model”. This is how Kurien created a market for Amul in the early years by selling tonnes of milk powder it received as gift from European countries and then re-investing the profits. Sastry wants to buy commodities from the open market, add it to members’ produce, bulk up volume and use the profits as capital to invest in processing units and more co-operatives. Sastry says that he will wait for funding. Once it comes he will consider taking a two-year sabbatical from IIM-B and engaging full-time with CCD. The amount of money (tens of crores) needed will not come from standard funding agencies. It is most likely to come as a government subsidy, like it did for Amul, or from corporations or wealthy entrepreneurs. And that is the biggest conundrum. Sastry is extremely vocal about his dislike for corporations and capitalists who he thinks are only interested in making profits for a select few. But when it comes to raising funds he has no qualms in asking them for money. Really SUPERB! If Dr. Shastry's attention is given to us as a technical adviser, we could form a co-operative farmers society for co-co nut. We welcome his valuable thoughts to share with us. May God give him long life! - Victor J S, Social Worker. What a smart man, using the gains of kleptocapitalist for seeding better humane lives for the "losers" who are deprived of basics apart from opportunity. Using his brains to improve lives, he is a true intellectual trying to build a comity of enlightened minds in engagement with society. It is such a pity his work does not get a wider a audience to inspire more people to get with their own latent "engagements". Amazing simplicity too. So cares for his jagged edges and impatience with the capitalistic bone suckers. Very very appreciable man. When most professors prefer to sit and theoretize in the cosy comforts of their offices, here is someone ready to get his hands dirty. I had the oppurtunity to visit CCD in Adilabad, they are really doing a great service to the farmers over there. Prof. trilochan Shastry's activities are really commendable. Among all the professors who have taught me till now, I appreciate Prof. Sastry the most. I am impressed by the amount of work he has done for the disadvantaged people and by his simplicity. He taught us real India which is far away from the flashy classrooms, where people struggle to garner even basic needs of life. IIMB is fortunate to have such Prof. who is also a Global Young leader award winner. I Thank him for inspiring an undying spirit of treading a path most meaningful for my life. I have always been inspired by Prof. Shastry, his independence of thought and his deep understanding of ground realities. I feel proud to have been his student at IIM B and I believe it won't be until we truly imbibe some of his teachings in our lives that we will be able to express our gratitude towards him. This makes us very proud to be his student at IIMB. His Pedagogy about Social entrepreneurship and his sharing of "on the ground" experience & knowledge provided us the maiden insights into several Social aspects. His commitment, dedication , humble nature and living was extremely inspiring for us. He is a role model " who doesnt bring value to his own account but to disadvantaged community ". We all admire him and feel fortunate to be associated with him.